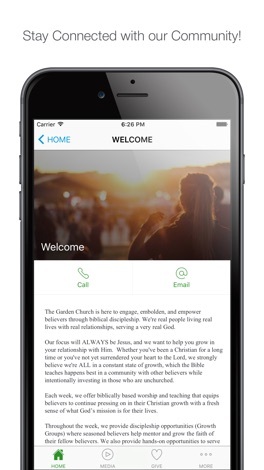 The Garden Church is here to engage, embolden, and empower believers through biblical discipleship. We're real people living real lives with real relationships, serving a very real God. Our focus will ALWAYS be Jesus, and we want to help you grow in your relationship with Him. Whether you've been a Christian for a long time or you've not yet surrendered your heart to the Lord, we strongly believe we're ALL in a constant state of growth, which the Bible teaches happens best in a community with other believers while intentionally investing in those who are unchurched. 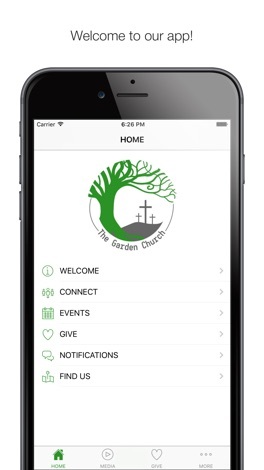 Download the app to stay connected with The Garden Church! Here we go with our new game called Chunkin Pumpkins Now you can play your most favourite game angry birds with a new style. Features :- Super game play Easy Controls Quality Images and sounds Everyone can play this game at any time and have fun with our new fantastic Angry Crow. Download this game from iTunes for free.